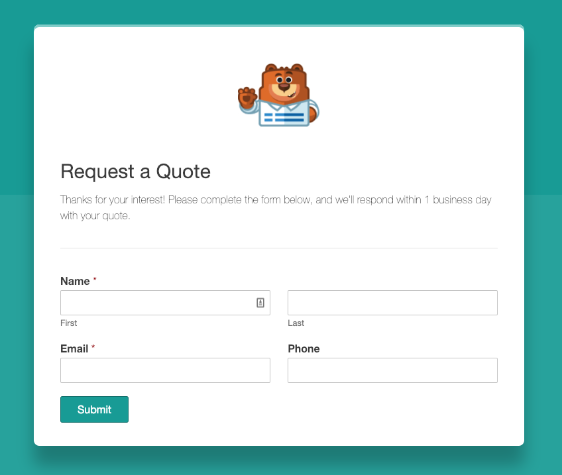 Would you like to create dedicated landing pages just for your forms? 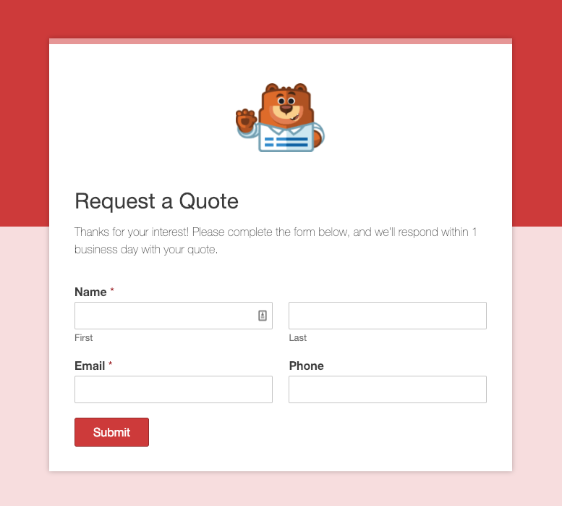 The Form Pages addon for WPForms lets you easily generate custom, standalone pages for any new or existing form. In this tutorial, we’ll show you how to use the Form Pages addon with WPForms. Requirements: You will need a Pro license level or higher to access the Form Pages addon. Before we get started, be sure to install and activate WPForms on your WordPress site. Once the core WPForms plugin is in place and your license is verified, you’ll be able to quickly install and activate the Form Pages addon. As soon as these first steps are complete, you’re ready to enable form pages for any new or existing form. Now that the Form Pages addon is installed, you’ll need to create a new form or edit an existing form. After you’ve opened the form builder, you’ll need to go to Settings » Form Pages. Then check the box labeled Enable Form Page Mode. Once this box is checked, many additional options will appear. We’ll cover each in detail below. Note: If you’d like to see what the form page looks like at any point as you edit, Save the form and then click the blue Preview Form Page button. First, go ahead and add a Form Page Title. This will appear in large text near the top of your form page. Next, you can choose to add a Message if you’d like. In most cases this message is used to share instructions or extra details with the person filling out the form. 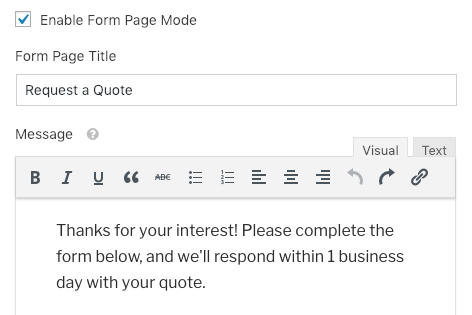 Both the Form Page Title and Message will display at the top of your page, above the form. The Permalink is the URL where your form page can be viewed. You’ll share this link with your users, so it’s generally a good idea to keep it short and simple. Note: Just like any other page on your site, the form page’s URL must be unique. If a number is added to the end of the permalink you’ve created, it means this URL already exists elsewhere on your site. For the Header Logo, you can optionally add an image or logo that will display above the Form Page Title. After you click the Upload Image button and choose a logo, a preview of the image will be displayed. If you’d like to use a large image, please consider the size restrictions below. The image will automatically be scaled to fit these limits (and the maximum width will depend on the Style you select further down in the settings). The Color Scheme you choose will determine the color of the page background and the form’s submit button. There are several popular color options that you can choose from. Or you can also click the eye dropper icon to choose any custom color. You’ll have a choice of two styles for your form page: Modern or Classic. The Modern Design style will display a wider form with rounded corners. Also, the lower part of the page background will use a darker color within your color scheme. The Classic Design style will display a narrower form with square corners. 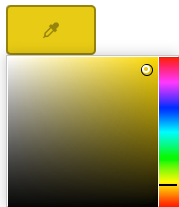 Also, the lower part of the page background will use a lighter color within your color scheme. That’s it! You can now create a standalone form page for any form on your site. Next, would you like to connect your form to a marketing service so that you can more easily collect and follow up with leads? Be sure to check out our Mailchimp addon tutorial, or any of our other marketing integrations: Constant Contact, AWeber, Drip, Campaign Monitor, or GetResponse. Added: Compatibility with Conversational Forms addon. Fixed: CSS enqueues filtering includes parents of the child themes. Fixed: Compatibility issue with Yoast SEO.